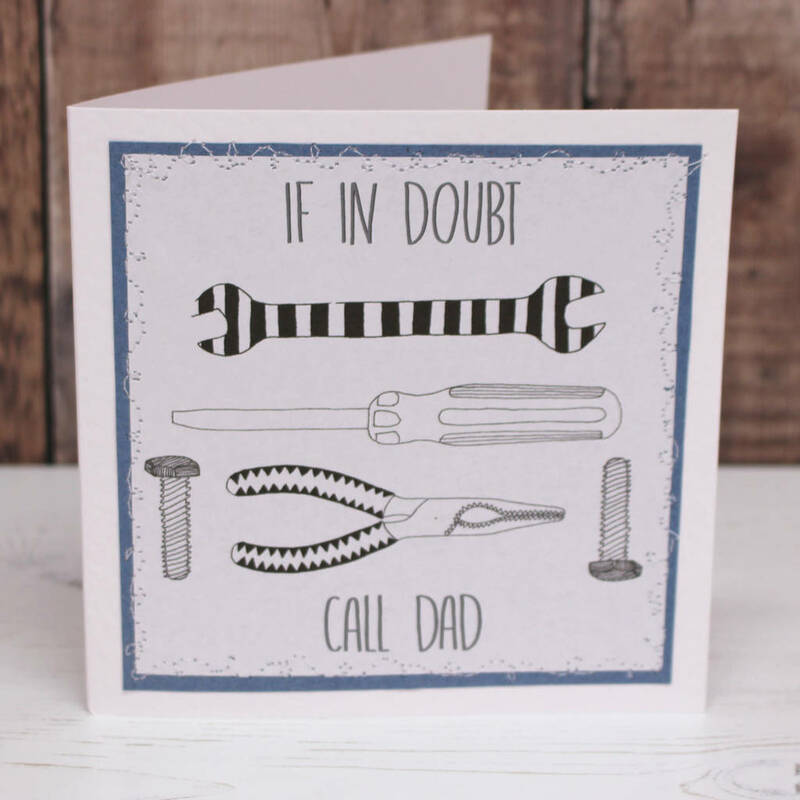 A fun and realistic Father's Day card! 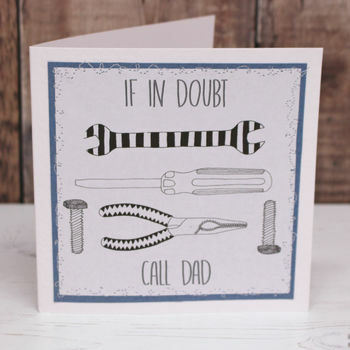 If your Dad is always coming to the rescue then this card is just for you! The perfect card for all of the hero Dads out there! The design is digitally printed and stitched onto the card with a blue paper border. Please note that the stitching can be seen from inside the card. The card has been left blank on the inside for you to write your own personal message.